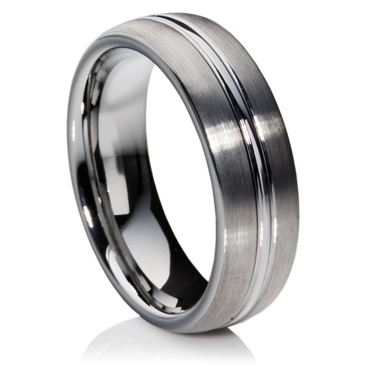 7 mm tungsten carbide double comfort ring. Comes with a highly polished central band with two matte finished bands either side. The finish is extremely tolerant to scratching maintaining its polish for many years.